The word desperation came up yesterday in a discussion I was having with a few people and I found it interesting the different perspectives people have of desperation. Desperation is a word that doesn’t have a clear-cut definition, because it can mean so many things to different people. When I think I of the word desperation, the words “rock-bottom” come to mind. In my experience, I was nearing rock-bottom and then hit rock-bottom two times in my career as an alcoholic, because I became desperate to escape the pain. Whether it was trying to overdose with pills and booze the first time or leaving a car running with a bottle of Jack Daniels, I was desperate. The second time I hit rock-bottom, I became desperate to keep my family and to stay alive. I was having severe health and relationship problems with my wife because of my alcoholic ways and only then, did I become desperate enough to do what ever it took to keep my family and to stay alive. The question of “what will be enough to make me quit drinking and be sober”. The first time through treatment and being sober for over a year was clearly not enough. Life became ‘good’ again, things were going my way (financially stable, bought a house, had a new truck, great career, etc) and I thought I could handle the alcohol again. My disease led me to believe that I did not have a problem any more and I became desperate to find reasons to drink again and rationalize how well I was going to control it. The good ol’, “I will just drink beer and stay off liquor” was my first rationalization. The falsity of believing it wasn’t the alcohol that was destroying my life, it was the type of alcohol I was drinking. This is absurd and I will hear people say this sometimes and the fact that they even have to think about it makes me wonder about their stability. It’s about consumption of alcohol and the quantity of alcohol a person consumes, along with the disease of addiction / addiction disorder. I was also recently told by a friend that “I don’t drink during the week, just weekends”. Huh… Well isn’t that nice… It doesn’t matter how often you drink because the disease of addiction has no boundaries. It’s interesting because this person is lying about not drinking during the week and the quantity in which he consumes. Having to lie and hide your alcohol use is an indicator that a person has a problem with addiction. Being able to go a week, which I wasn’t able to go a day, without alcohol doesn’t mean that person is not an alcoholic. 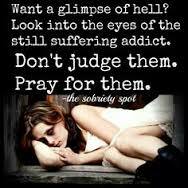 I am not here to judge and to try to control others, but I do recognize my old tendencies and behaviors in others that are suspected to have the disease of addiction. It’s taken me a while to tone down expressing thoughts about my past and how they are directly parallel with the actions of those that may have an addiction. I still have to work really hard on not saying “can’t you see what I have been through and the fact that you are doing the same thing”, because an active alcoholic and/or addict will have a rationalization for everything that person says. I have also learned that being forceful with others is a type of control tactic and I do not want to be that person. That is why I feel so strongly about sharing my stories, thoughts and beliefs on a platform like this. People can click on it and read it or pass by it, because it is not being forced upon them.